10th birthday celebration – Day ONE! Good morning SCT friends! Thank you so much for stopping by for day ONE of our 10th birthday celebration! Each day for the next 10 days we are celebrating this great milestone with our design team, our industry partners and YOU! Join us as we share beautiful birthday inspired projects from our design team and we'll also be sharing the "loot bag" our partners have put together for a lucky reader too! And, be sure to read to the end for a fun challenge where someone will win an additional $250 prize! We have over $2,500 in prizes to giveaway so "woot, woot", raise the roof and let's get our 10th birthday party started! Up first today is design team member Marla Kress! In the spring issue Marla created these beautiful ribbon cupcakes for our Top 10 Most Wanted article on page 9. We loved these sweet cupcakes so much we asked Marla to share just how she made them! "You are now in tween territory, which I have learned introduces a whole new world of experiences and fun. Lookout readers because I anticipate a great year ahead! In honor of your tenth birthday Scrapbook & Cards Today, I have made cupcakes (with paper of course) and today I’d like to share how I made one of them. First you’ll start off with a few key pieces. One cupcake wrapper template (any old template will do). This one happens to have a base which helps hold an insert. Then you’ll need one 3” circle, six 1” circles and a piece of ribbon. The wider the better and NOT too silky…you’ll see why ahead. Assemble the cupcake base. Add you’re 3” circle to the top of the cupcake base. If you want you can punch a hole in the circle and tie it to the base so that it flips open but I usually just wedge it down inside. Next fold each of the 1” circles in half. These will be used to make the cherry on top of the cupcake. I chose a paper with a red side so that I’d have a red cherry. Make sure that you fold the side that you WANT TO SEE towards the inside. Apply glue to one of the folded half circle and begin layering another half circle on top. In my case I’m gluing all of the yellow sides together. Until eventually I create and cute little paper cherry. Next let’s look at the ribbon icing. I used my sewing machine to create a running stitch down one side of the ribbon. I DID NOT backstitch at the beginning or the end. If you don’t have a sewing machine, don’t worry. You can do this by hand and it may even work better! Now pull ONE of the threads and start bunching the ribbon. Sometimes when you’re sewing on the machine this may happen and if it does, LET IT! Consider it a gift, a shortcut. And now, remember how I said NOT to use a super silky ribbon in the beginning? Like the one pictured above? Well that’s because when you break out the hot glue in this next step IT WILL MELT. So if that happens you’ll have to grab another type of ribbon and try again. Boo! And now you know why my ribbon in this next photo looks completely different. Take you’re hot glue gun and start gluing the gathered ribbon along the outer edge of the 3” circle. Keep gluing and working towards the center until the ribbon piles up nice and high. Pretend you’re piping icing on a real cupcake. Except you’re using a glue gun and ribbon and won’t feel at all guilty tomorrow. Place you’re icing lid back on the base and you have a super cute little cupcake. Add treats inside and they’ll be even better! 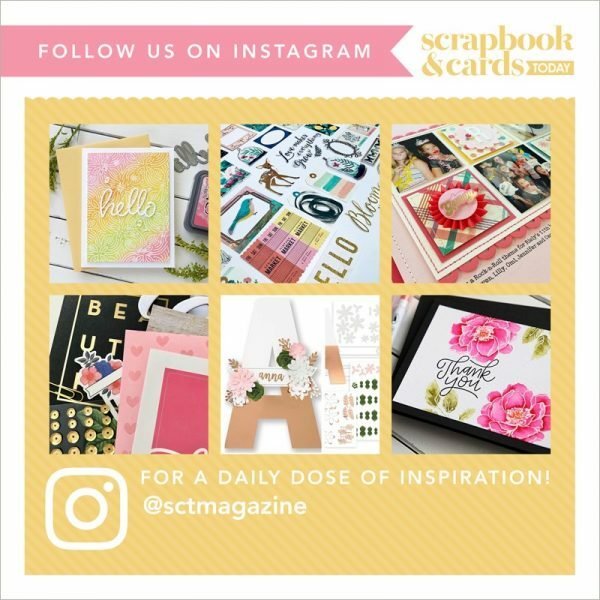 "Happy 10th Birthday Scrapbook & Cards Today! We are so happy to be a part of your monumental birthday celebration! We are excited to offer one lucky reader an assortment from our new Spring Garden collection! Just in time for the upcoming warm weather!" "You can say, "Glad you were born," and leave it at that. 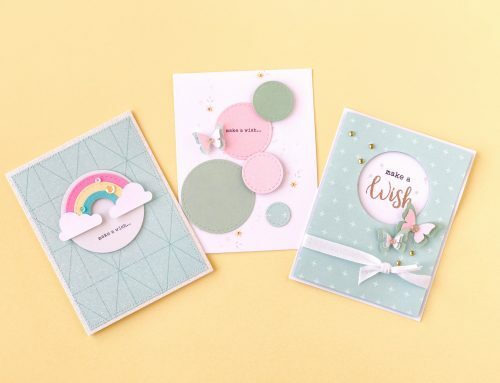 Or you can acknowledge the greatness of the day by making a card, complete with cake, candles, and balloons with the Party Wishes Clear-Mount Stamp Set. Today's winner will also receive the Party Punch Pack! What's cuter than an itty bitty punched image? Three itty bitty punched images! Cut out tiny balloons, candles, and cupcakes. Congratulations on 10 years SCT!" If you don't already follow SCT on Facebook or Instagram (@sctmagazine), be sure to follow us long there too! So cute right? Thank you for joining us as we kick off this fun celebration! We are thrilled and honoured you've chosen to make SCT a part of your day. See you tomorrow! Publisher, Scrapbook & Cards Today Inc.
Love Love Love this calorie free cupcake! So cute and ever so clever with the hidden treats below. Sure could use this as my table treat! Thank you Doodlebug Design Inc. and Stampin’ Up! for these fabulous give aways. I love both these companies for the quality their products bring. Happy 10th Birthday SCT, have been following you for years, but can’t believe it has been 10. Here’s to 10 more then 10 more and then….. Thanks for all the inspiration and tips etc. So happy for the opportunity to help celebrate your 10th birthday! It’s so exciting! Happy Birthday SCT! Love all the giveaways and chances to win – thank you for sharing your celebration with us! Happy 10th Birthday! Fantastic idea using ribbon for the icing of the cupcake, and hiding treats inside. Thanks you for holding another great contest! Woo hoo, I love a good party! Happy 10th to all of you at Scrapbook & Cards Today. Have my copy of the Spring issue and it is scrumptious! Great little challenge too! How can you not love those spring colours. Love the stamps too. Always looking for birthday items for cards. Congratulations on 10 years, here’s to 10 more! Happy 10th. This project is a perfect way to kick off the celebrTion. Too cute. That cupcake is a project I might actually try! So cute! And I love the colors in the Doodlebug Design collection. I am a happy SU demo, so I already have those birthday goodies! Love this cupcake. Way too cute. Happy, Happy Birthday. Love the cupcake, especially the goodies hidden inside. Happy 10th and many more. Happy birthday! Great cupcake tutorial and fabulous prizes. We could use a little spring around here – 8+ inches of snow this morning and it is still snowing! Welcome spring – lol. Happy, happy birthday! The cupcake is so creative & cute! Wonderful prizes today–thanks for the chance to win! What a great way to share a cupcake! No calories yet so pretty! Great prizes in today’s loot bag too! Looking forward to the next ten years of SCT! Love the cupcake challenge! Found today’s and can’t wait for tomorrow’s clue! HAPPY BIRTHDAY! Happy Birthdayy! Love doodlebug and stampin up ! What a great way to start the celebrations! The cupcake is SO cute! Thanks for the chance to win. Thanks for inviting me to your party! Happy 10th birthday SCT. I was just admiring the new collection from Doodlebug on the back of the magazine. Great prizes offered by Doodlebug and Stampin’ Up! Would love to win. Awesome prizes from awesome companies! Love the quality of their products!! Thanks for the chance to win and HAPPY BIRTHDAY!!!!!! Happy happy happy happy 10th Birthday!! Thank you for the awesome cupcake idea today! So excited about the giveaways! Happy Happy 10th! Such a cute ribbon cupcake! Thanks for the opportunity to win. I love Doodlebug! Love that 3D cupcake… And what awesome prizes! Happy birthday SCT! Happy 10th Birthday SCT! That cupcake is the cutest! Thanks for the chance to win. Happy 10th birthday. Love the cute little cupcake. Thank you Doodlebug and Stampin Up for celebrating SCT’s birthday. Happy Birthday! Thank you for the chance to win one of these generous giveaways! Going to be a fun scavenger hunt. Happy 10th birthday! That cupcake is too too cute! Thanks for the chance to win! cute cupcake and thanks for a chance to win! I’ll have to go a cupcake hunting… thanks! oh my—those are so cute!! Great idea for different occasions! happy 10th birthday!!!! wow—incredible! 10 years…already! Thank you for the wonderful opportunity…love Doodlebug and Stampin up! Love your 10th BIRTHDAY GIVE-AWAYS!!! How adorable that wee little cupcake is, and absolutely no calories, if you don’t eat the goodies inside that is!! LOL Huge Congrats on your 10 year milestone, and hope we are right back here in another 10 years celebrating yet again! Thanks to Stampin Up and Doodle Bug for providing such awesome giveaways!! Good luck everyone! Happy birthday-what a great cupcake! Fabulous cupcake and prizes. Also love the fun challenge. I had better go and see if I can find the first clue. The cupcake is adorable!!! Thanks for the step-by-step tutorial. What fabulous prizes to celebrate your 10th (amazing) birthday. Happy Birthday SCT! Happy Birthday! Thanks for the spring giveaways. So happy spring is on the way! Love, love, love the cupcake! Happy 10th Birthday! Thanks for the chance to win such great products. Happy Birthday SCT! Love the cupcake and that it has a hiding place for some treats! Congratulations on reaching 10 years SCT…that’s an amazing milestone in this day & age. These are great prizes. Thank you to the sponsors and thank you to SCT for the chance to win them. Happy 10th Birthday! What an adorable cupcake! Great prizes, too! Thank you for the opportunity! that cupcake is very cute.. I will have to give it a try. Love all the birthday ideas. Love the paper cupcake. I think I will have to look at making some myself. Fabulous prizes for today too! Love both Doodlebug and Stampin up! Happy 10 years! Happy Birthday. Love the cupcake! Oh I would to win a prize – anything and everything because it’s all so awesome!! So cute! How awesome would it be to win… Congrats on the big One-Oh! May the next ten years be just as amazing! Happy 10th Birthday SCT!! I just adore the beautiful ribbon cupcake. Great prizes. I sent them a thank you. Happy 10th Birthday to you (and to us!). Love the little cupcake! Super cute ideas! 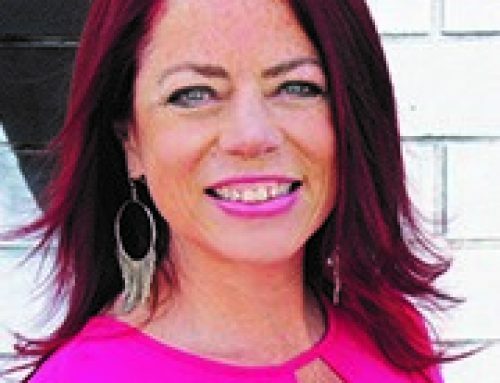 Love the new product give always and CZ’s Design Your Life column. I am thrilled to be a part of your bday celebration! Thanks for all your inspiration throughout the year. Wishing you many, many more happy birthdays! Super adorable. Happy 10th Birthday ?????????? Happy 10th celebration to you all there at SCT – so awesome and you always give so much to the crafting community through prizes and ideas!! Thank you! This post today is a super genius and fun idea!!! Lovin’ the celebration already! Happy 10th! Congratulations! I truly enjoy your magazine and the seasonal kits! What an adorable cupcake, Marla. Thank you for sharing the how-to instructions. Congrats SCT on 10 wonderful years. Looking forward to many more. Yum – luscious cupcake! Happy birthday, SCT! Off to search for the first cupcake. Happy 10th!! Thanks for the giveaway opportunity!! Happy 10th birthday! Those are some totally awesome prizes for today! I just love the adorable cupcake with the ribbon topping–looks like an easy project! Thanks for sharing! Happy 10th to all of you at Scrapbook & Cards Today.Thank you for the Amazing prize and for the chance to win. Happy 10th Birthday! Wishing you another 10 successful years! Thumbs up for the calorie-free cupcake; so cute! And Yes, Stampin’ Up an all time favorite and that punch and stamp set is another winner. Who doesn’t like Doodle Bugs? I see no hands raised – love this ‘springy’ collection. AWESOME prizes!! Happy 10th birthday…..happy to celebrate with you! Super cute cupcake! Love doodlebug & stampin’ up! Can’t wait to check out your magazine. Congrats on 10 years! Happy 10th anniversary! Your magazine always gets my creative juices flowing! Thanks for the great giveaway. Doodlebug products are some of my favorite! I love cupcakes and this clever idea! Congrats on 10 years! Looking forward to all the fun this week! Happy Birthday – thanks for the opportunity to win awesome goodies! I had to take a second look. That cupcake looked so real. Happy Birthday. Sure hope you continue on for at least another 10 years. Love the “calorie-free” cupcake. Beautiful Spring colors! Happy 10th Birthday! That is just the cutest cupcake! I love that you can add a few treats to the bottom. Happy 10th! Happy 10th Birthday to you, SCT! <3 Looking forward to the next 10 years. And thank you for the celebration! Happy birthday!! What a cute cupcake project! Thanks so much for the chance to win! Happy birthday! What fun celebration & prizes! That cupcake is wonderful! And the 2 prize packages are awesome too! Thanks for the chance to win! My daughter’s having her birthday next week, not really a baker=( BUT this solves the problem of sending treat to her class WITHOUT ME BAKING!!!! woot-woot!!!! THANK YOU MARLA!!! HAPPY BIRTHDAY 10TH SCT and many mooooooooore!!!! Congratulations on 10 wonderful years! Sending you an electronic cupcake to celebrate! I really love the project pictured above, especially with the treats tucked inside! And I TOTALLY get the melted ribbon! Been there, done that! What a cute cupcake and I love how it holds treats. Thank you to the sponsors for today’s generous prize. So clever and cute!! Happy happy birthday! Such a cute cupcake! Thanks for the opportunity to win such great prizes! Happy Birthday!! So nice of you to offer us presents on your birthday!! Happy 10th birthday and many, many more!! This is so generous of you, thanks so much! Thanks for all the inspiration. Card making has brought me through some difficult times and hopefully the recipients some joy. Thanks for keeping us inspired with fresh new ideas. Love the giveaway goodies! Happy birthday! Thanks for the chance to win these great prizes! Happy 10th Birthday!!! You always have such awesome prizes!! Happy 10th! Wow, Doodlebug and Stampin’ Up…what a combination! That cupcake is just too adorable, what a great idea! Awesome prizes today. Looking forward to following along all ten days. Now I’m off to grab my hard copy magazine (LONG LIVE PRINT) and search for that cupcake for the challenge. Oh, and of course Happy 10th! Happy Birthday, here’s to 10 more years! Happy 10th birthday! Love the celebration! Love the secret treat container dressed like a cupcake. Very clever. Man, I love Doodlebug. Their stuff is always so versatile. Thanks for the opportunity to win! Happy 10th Birthday! What a great theme to use too – cupcakes! Thanks so much for the giveaway – the Spring Garden kit looks so pretty. Happy Birthday! I love Doodlebug and Stampin’Up! What a cute little party favor! Thanks for the tutorial and the chance to win goodies! Happy Birthday! Here’s to 10 more years of inspiration from my favorite magazine! Congrats on your 10th birthday! Awesome prizes… I’ll be keeping my fingers crossed! Sweet cupcake project too! Congratulations on 10 years of inspiration. The giveaways are terrific, and that little cupcake is too cute for words. Happy 10th Birthday! Giveaways are such a fun way to celebrate! Super cute cupcake! What a brilliant way to hide some sweet treasures for the recipient. Love love Scrapbook &Cards Today!! Thank you for everything you do for the scrapbooking industry!! So excited to see the 10 th year stuff. Absolutely love the ribbon cupcake! Who doesn’t love a party! Happy Birthday! I would love to win one of the prizes today! Thank you! Happy Birthday!!!! Here’s to many more years of creative goodness!! I love the cupcake idea; my daughter in law is expecting and this is an adorable shower idea. LOVE IT! Amazing project! So super cute! Happy Birthday SCT! Thanks for all the treats in advance. Congratulations – Happy 10th! The cupcake project is adorable, and so is the amazing collection from Doodlebug (one of my favourite paper companies) and cute stamps! Thanks for the chance to win. Happy Birthday SCT thanks for all the great give aways. Love the cupcake ideal so much fun. thanks to all the sponsors for the generous give aways. Love the bright colors in the Spring collection !! Thanks for the chance to win! Happy 10th birthday, love the cupcake. Thank you for the chance to win awesome prizes. Happy 10th Birthday SCT!!! Thanks for all you’ve brought to the crafting industry and for always being so generous, inspiring and fun!!! Darling cupcake too!!! Have a great day, everyone!!! Happy 10th Birthday. Love your prizes from awesome companies. SCT inspires me all the time! Happy 10th Birthday Celebration to you and your team. Here’s to many more years of crafting. Happy 10th Birthday, SCT! Looking forward to celebrating the event with you! I have never dreamed of making cupcake holders because I thought it was too much work for the 10 seconds of consuming a cupcake but this is a wonderful idea…I have been eyeballing that SU birthday set, fingers crossed. Happy 1st day of your 10 day celebration!! Wonderful prizes!!! Thanks for a chance to win. Love the cupcake tutorial it would make a cute take home for a kids party! Happy 10th Birthday SCT ? the cupcake looked so really I just want to eat it. Congratulations on 10 wonderful years. So happy to be celebrating with you. Ooooh…who doesn’t love a good party and you certainly know how to throw a great one! What better way to kick off a super fun birthday bash than with a very generous giveaway from two amazing partners like Doodlebug and Stampin’ Up! Doodlebug products are the BEST! They are fun, cheerful and just the cutest! I am one of their biggest fans! Such a fantastic company! SU’s party prize package is filled with so many wonderful tools and products! Perfect to make awesome birthday cards and brighten someone’s special day. A huge THANKS to Doodlebug, Stampin’ Up and SCT! If this is day one, I can’t wait to see what you have in store for the next 9 days of celebrating! Happy 10th and many more… Thanks to two great sponsors Doodlebug Design and Stampin Up! for the chance to win. Congrats to ten years SCT ! This cupcake is super adorable , thanks for the how to instructions. Thank you to SCT, SU and Doodle bug for the awesome give away. Happy happy birthday SCT! Here’s to 10 more years of wonderful crafty inspiration! Happy Birthday. What a cute idea turning a cup cake liner into a cupcake. Thanks for the chance to win these great prizes. Happy 10th birthday and many, MANY returns – I hope to receive this magazine for years to come! Thanks for the chance to win!! Happy birthday! What a fun bunch of activities to commemorate the milestone! Such a cute cupcake! Thanks to the sponsors for great prizes! Happy 10th Birthday! I love that cupcake! Such a great idea for shower or wedding favors. Happy 10th birthday! I have loved you each and every one of those 10 years. Thank you so much for the creative ideas and for pulling me out of scrappers block more than once! Happy birthday SCT!! All the best for the next 10 years. The cupcake is really sewwt but I hoe you will get a REAL cake for this awesome celabration.. ? Happy 10th birthday!! The Doodlebug Spring Garden collection is a great start to the giveaways! The cupcake is so fun, thanks for the tutorial & for the chance to win!! So adorable. Happy Birthday, SCT. Happy Birthday to You! What a great milestone! So glad that you are still alive and kicking! Love your magazine and love that you are sharing this fun time with all of us. Thanks for sharing your creativity, and thanks for the opportunity to win some great products from Doodlebug and Stampin’ Up! Love your magazine! Happy birthday to your team! Happy Birthday SCT. I LOVE Parties! Thanks so much for the opportunity to win a prize. And thanks for still being here and allowing us scrapbookers to be inspired by your creative teams! Happy birthday! Love the cupcake! Thanks for the opportunity to win. Happy Birthday!! Thank you for sharing this great cupcake idea, so cute! Thanks for a chance to win also!!! Thanks for the chance to win those amazing loot bags. Can’t wait to go looking for cupcakes. Like an early Easter egg hunt, only with cupcakes! Happy 10th birthday! I really loved the cupcake and love all the inspiration in SCT magazine. It was so nice to meet so many ladies from SCT at Crop And Create Calgary. Can’t wait for you to come next year. Wonderful gifts! Would love to win!! Happy 10th Birthday! Looking forward to the celebrations!! Happy Birthday and thanks for sharing the delightful cupcake! We certainly need spring around here with another 20 cm of snow on the way! A cupcake will certainly give us the energy to shovel the driveway… So really the calories don’t count! LOL. Happy Birthday! Happy tenth birthday!!!! Thank you for the chance to win awesome goody!! Wishing a Happy 10th Birthday with more too have…Adorable cupcake and also an awesome giveaways..
What a beautiful collection to celebrate a birthday! Thank you Doodlebug to help SCT celebrate their birthday!!! And who doesn’t love a birthday!!! What a sweet contest idea! Love it and would love to win an awesome prize too! Fantastic start for your 10th birthday extravaganza! Can’t wait to see what else is up your sleeves! Happy 10th birthday! Had a great time at the Calgary crop! Happy Birthday! This is going to be so much fun! Cute cupcake. Great little box for small gifts. Happy 10th birthday,loving the cupcake!!! Happy, happy birthday SCT! And what an awesome party. Great giveaways today. Thank you Doodlebug and Stampin’ Up. Wow, great stuff! Happy birthday! Love that ribbon cupcake, so cute! wonderful projects and prizes as always. Happy 10th Birthday SCT and many more. This cupcake idea is adorable! Happy 10 years Scrapbook & Cards Today! Happy Birthday! What a wonderful giveaway! Happy Birthday! What a way to celebrate! Thank YOU for the opportunity to win fantastic prizes. Thank you to Doodlebug Design and Stampin Up for their delightful products. Love, Love, Love all the fun & festive celebratory ideas!! So creative! Makes me smile BIG! Happy Birthday to YOU! Love the Doodlebug & Stampin’ Up stamps and punches. Awesome! Happy Birthday SCT!! What a super cute and creative way to make cupcakes!! Thank you Doodlebug and Stampin Up for their generosity too!! I just love this Doodlebug collection for spring. I saw it in your magazine and loved it right away! And Stampin Up has the best quality stamps and such cute designs. If you haven’t seen their last catalog you should! This ribbon cupcake is adorable! A very BIG HAPPY BIRTHDAY! I am enjoying all the festivities. What fun. Thank you! Woo Hooks birthday fun! Thanks for sharing your celebration. What a fantastic cupcake!!! Happy birthday SCT!! The cupcake seems super easy to make! I’ll have to try it sometime! Happy 10th birthday SCT. You have inspired many people like me. I look forward in your creative ideas for many more years to come. Thank you! Happy Birthday. Hope you are around for many more years. Happy 10th Birthday! I love your magazine and all the inspiration you provide on your blog! I can’t wait to celebrate with you for the next couple weeks! OMG! how fun is that! What a great idea…those would be so cute for party favors! TFS! and a very happy birthday to SCT! LOVE that cupcake!!! Thanks for the chance to win!!! Happy Birthday! And long live the print, yes please! I love having my copy right on my scrap table for handy inspiration. Oh my, I LOvE this darling and calorie-free cupcake! Happy 10th Birthday! Happy 10th! The cupcake is so cute! Adorable little cupcake! I have tons of ribbon to use up to make a bunch of those cupcakes! Happy 10th, thanks for the chance! 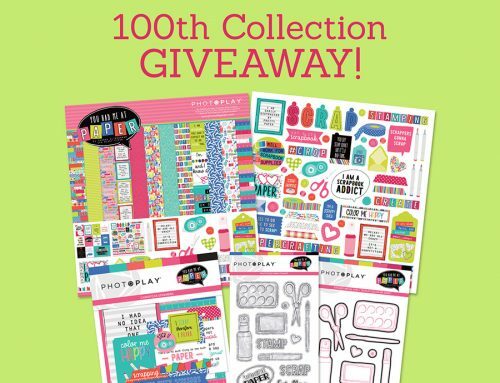 Thank you so much to Doodlebugs, and Stampin’UP for the chance to win such beautiful giveaways, and helping SCT celebrate 10 years of success! Happy Birthday SCT Magazine!! The prizes look fantastic! Happy Birthday, so much fun and the cupcake idea is great.Thank you to Doodlebug Design Inc. and Stampin’ Up! for the great giveways and to the team for all the design ideas it makes my day ! Always gives a ray of sunshine into my life. Thank you for all your hard work so as a crafter we have inspiration. Wow! The cupcake looked scrumptious! Such a great idea! The cupcake is so cute. I would.love a chance to win these amazing products. I LOVE all Doodlebug products!! Happy happy 10th birthday SCT!!! Love your calorie free cupcake!! Thanks for the chance to win!!! The 3D cupcakes is so sweet – love it! Happy 10th Birthday and so happy to celebrate with you. Ten years of happiness and creativity and here’s to ten more years to come. I love spring time with the flower and having a spring birthday these ideas stimulate new and creative ideas. Thank you SCT and Happy BIRTHDAY!!! Love the cupcake! Happy 10th birthday and thanks for the chance at some amazing prizes. A VeRy HaPpY BiRtHdAy SCT!!! I love your magazine! A BiG thank you to your partner companies for sharing their products! Doodlebug designs with such vibrant colors and Stamping Up has such high quality stamps! Oooooh to celebrate with you with a chance to win these! Thank you SCT!!! Happy Birthday! Love the Doodlebug products! Always so bright and colorful! YAY! Happy 10 years!!! I am a new subscriber this year and I’m so happy I jumped on board with receiving my magazine in the mail now, I LOVE it! The quality is amazing and so is the content! Thank you! And hugs thank you to all of the sponsors!!!! Happy 10th! I have loved your magazine for years.! I am going to make that cupcake for Easter, the kids will love it! Congratulations again! 10 fabulous years! Would love to win this new package of wonderful papers and extras!! Happy Birthday! Love this cupcake! I’m having major back surgery at 7:30 tomorrow morning, so I’ll be in the hospital and miss most of the week’s party. Have fun! Wish I could play! Happy 10th BDAY! What an adorable idea! TFS and for the chance to win! What a great start to celebration of an important milestone! Congrats to everyone here for all your accomplishments! And thank you for a chance to win! Love those cupcakes… great start for your celebration. Happy Birthday, SCT! Think I need to “bake” up some cupcakes. Thanks to Doddlebug and Stampin’ Up for the amazing prizes for today!! Congrats on 10 yrs, thats a great milestone!! Very cute demo project, and even greater prizes ? I would love to get my hands on this prize!! Thanks for the giveaway! Happy 10th!! I have only been crafting for 6 years so you have been around longer than I have and you inspire me continuously. Thanks for 10 great years….here’s to 10 more! Happy Birthday! The cupcake looks good enough to eat! Awesome Garden collection and SU prizes. Thanks for sharing with us! Happy Birthday SCT. Here’s to many, many, many more!!!! Happy Birthday!! Love the cute cupcake! Looking forward to celebrating your 10th anniversary with you. So many wonderful ideas and giveaways! Great prizes good luck everyone ? Happy 10th Birthday Scrapbook & Cards!! You’ve outdone yourself with this special celebration issue.It’s gorgeous!! Love the cupcake! Happy birthday. Hope you get to eat lots of cake! Lovely the 3D cupcake It has a great tutorial. Thanks for the chances to win. Happy 10th birthday! It is great that you are still going strong. Here is to another 10 wonderful years! Thanks for the chance to win awesome birthday prizes. Happy birthday. Love the favour! Two great companies to kick off the 10 year celebration! Love the guilt free cupcake. Wouldn’t these be great as place guides for any party you throw? Happy Birthday! 10 years of success – that’s awesome! Congratulations! Your ribbon cupcake is adorable! I love your prizes too – thank you! LOVE the cupcake and the DELIGHTFUL “topping” – this would be FUN for party treats and AWESOME for jewellery gifts!!! Happy Anniversary!! This is a cute little project! Happy 10th birthday!! Great giveaway!! Happy birthday SCT!! That cupcake is adorable! Thanks so much for always doing such special things for your readers. And thanks so much to the sponsors! I love the bright cheery colors. Baby it’s cold outside here, so bring Spring on. A very Happy 10th Birthday to you Scrapbook and Cards! Love this very sweet cupcake and awesome prizes too!! Happy Happy 10th birthday!! That paper cupcake is so fabulous. Thanks for showing us how to make it. Definitely going to try that one! So excited to have a chance to win one of the fabulous prizes for Day 1 of your birthday celebration!!! Congratulations on 10yrs! Stunning cupcake and great treat holder idea. Thanks for the opportunity to win some great prizes! Love the cool cupcake! Happy 10th birthday!! Yay, happy 10 years! I love that I’m able to own a physical copy of this delightful magazine as well as look at it digitally. You are the most fun birthday celebration. Thank you for playing games while you celebrate your 10th Happiest Birthday! Thank you for the crafty giveaways, in love! Happy Birthday SCT! 10 years = Double Digits 🙂 Thanks to Doodlebug and Stampin Up for the amazing prizes and love today’s post – can’t wait to try to make the ribbon cupcake! Happy birthday SCT. Reminds me of a Crave Cuocake. Yum. Thanks to Ddodlebug and SU! Who doesn’t love a cupcake! This one is adorable. Happy Birthday SCT. Hurray for Doodlebug! Happy Birthday! I just discovered your magazine and I am in heaven! I thought all of the scrapbook magazines were gone. I’m so sorry I missed these last ten years, but I’m looking forward to the next ten! Thank you for the chance to win such a yummy prize. Happy 10th Birthday! Thanks for 10 years of inspiration. Fabulous cupcake, so clever to create ribbon frosting. Happy Birthday! No surprise that STC knows how to celebrate. The cupcake is precious, thanks for sharing how to make them. Would love to win either of those prizes! Congratulations, SCT. Have a great party. Thank you for inviting us all. Happy Birthday. Happy Happy Birthday! I am so glad to have had you around for over a decade to enjoy, Cheers! Cool to be part of this great celebration. Thanks for existing and for the opportunity to win. Thank you for the awesome giveawais! Supercute cupcake – so clever. Thanks for the chances to win at your party! Happy birthday! The cupcake is darling. I love this hidden teat cupcake! I think my nephew will enjoy it as much as I will enjoy making it! Congratulations in the 10th Anniversary. I hope enjoy this project. Super fun and easy to do. Thanks for share with us and again congrats. Happy day! Happy 10th birthday. I have all the magazines and often go back for inspiration. Adorable cupcake!! Happy 10th and many more to come! Happy Birthday SCT! Love the cards from the the Party Wishes and the itty bitty punch pack. I love Stampin’ Up! Love the cupcake – I’m going to try that for my granddaughter’s 10th birthday next week. I’m sorry Happy 10th Birthday ?? Happy 10th birthday! The cupcake is adorable, and I love the colors in the prizes. Love the cupcake! I plan to make them as favors on my Easter brunch table. Happy birthday SCT! This is a fabulous project! Looks yummy enough to eat! Such a fun celebration! Happy 10th SCT! I think I remember your first year! That cupcake is so cute and would make such fun favors! Love the idea! Thanks for sharing! Happy 10th Birthday SCT! Just downloaded my spring issue, can’t wait to read it! Seriously, who doesn’t love cupcakes (edible or not ;). A very Happy Birthday to the best magazine around. Thank you for always inspiring! love the cupcake Thanks for the chance to win !! A LOOT BAG sounds good to me!!!!!!!!! Congrats on your 10th anniversary! What a fun way to celebrate! Happy 10th Birthday SCT, what a fabulous cupcake to celebrate with, love that it’s no calories too!! Keeping my fingers crossed too. Love the cupcake tutorial. How charming! I thought it was real at first! So cute! This cupcake is adorable! What great prizes you are offering to your faithful readers. I LOVE your magazine! Very cute cupcake and love the prizes, crossing my fingers. This little cupcake is so clever and crafty. Happy Birthday, 10 years is something to celebrate!! Love your cupcake candy holder! Happy 10!!! WOW! If you wanted to use silk ribbon for the frosting, maybe an extra large glue dot would work? Thanks for the fun SCT. Happy 10th Birthday SCT! and Thanks Marla for sharing how you made this yummy ribbon cupcakes. I love your giveaway so much especially the one from Stampin’ Up! Happy Birthday SCT. Hard to believe that 10 yrs ago I was looking at your magazine for inspiration. The cupcake is incredibly cute and easy to make. Love the idea of hiding treats at the bottom of it. Thanks also to Doodlebug & Stampin Up for the prize today. Wonderful prizes, I just love everything from Doodlebug, crossing my fingers for a win! Such a cute cupcake! Thanks for showing it with directions! Happy Birthday to you! What an awesome 10 years of scrapbooking! Thank for much for the great prizes! love this cupcake. Thanks for the opportunity to win great prizes! Happy Birthday! Cute cupcake, what a fun idea! Fabulous giveaway! Great colors in that Doodlebug line, I’m always on the look out for some purple! Happy 10th Birthday! I always love participating in your workshops at the various shows! Love that cupcake. Happy 10th SCT. Thank you for the awesome giveaways. Happy 10th Birthday to SCT and here’s to at least 10 more. Super cute cupcake. Thanks for sharing and thanks for the chance to win some great prizes. Eeek!! So darn cute in every way! I am loving all these fun birthday decorations and prizes! Love the ribbon cupcake design. I need to try to make one of them. Happy 10th birthday!!!! Thanks for the chance to win. Such wonderful goodies!! Happy 10th Birthday!!! Awesome prizes! Happy 10th~ what a party! Happy Birthday SCT!! Here’s to at least another 10 more years! Congrats and happy bday. Adorable cupcake. Happy 10th Birthdays!! That is such a cute cupcake. Thank you for an amazing giveaway. Happiest of Birthdays!! 10 years!!! Congratulations and love you publication!! Super adorable cupcake project to start us off!!! Love the cupcakes. Thanks for the opportunity to win. I am a Doodlebug FANATIC!!! That is so cute. I need to make these as table decor for the next birthday after mine. Thank you for sharing how to make this cupcake! Oh my gosh! What a sweet little project! Love this. Happy 10th birthday SCT! Love all you do! Thanks for being so awesome! Another awesome giveaway! I’d love to win some of these prizes! Thank you for a chance to win and a very happy birthday SCT! Happy Birthday SCT! Love your magazine and the generous vendors that help make you great. Many you have many more years. This cupcake is so amazing. What a fun treat to give and would be awesome to receive. Thanks for sharing with us. Awesome cupcake sweet caddies..such fun to find little surprises in it! What a beautiful cupcake. Love the awesome prizes from these great sponsors. Thank you for the chance to win. Happy Birthday!!! Love that Cupcake. Happy Birthday! Cute project today! Thanks for the chance to win! Happy 10th Birthday!!! Thank you for offering us the chance to win some goodies!! Happy 10th and many, many, many more! Great giveaways! Love the idea of putting treats in the cupcake. Happy 10th to all you at Scrapbook and Cards Today! Looking forward to the celebration. Happy 10th Birthday! Would love to win Doodlebug or Stamping’ Up products, both are amazing! Thanks for the opportunity to win. Happy 10th Birthday to you – Super prize from Stampin Up thanks for the chance to win. How fun!!! Great project!! Yay for 10yrs!!! Nothing better then presents for an anniversary. Thanks for all you do gals. That cupcake is great! It’s very cool! Many happy returns of the day! I was so excited to find your magazine. I used to subscribe to Creating Keepsakes and Simple Scrapbooks and have really missed a scrapbook magazine. Plus you have two of my favorite scrappers, Cathy Z and Ali Edwards! Happy Birthday! Love the calorie free cupcake and SCT. Happy Birthday! This issue was ahnds down my favorite – immediately was inspired and made a page within hours! Love SC&T! What a fun and fabulous cupcake!! And none of the guilt ;). Happy birthday SCT! Happy 10th Birthday great job your magazine is sooo inspiring! A Very Happy 10th birthday to you all! Love that cupcake!!! What a cute idea! Happy birthday! Congratulations on being 10 years old. It is so nice to have a real magazine to hold in your hand. What a great bunch of prizes. Thanks for all the goodies. happy 10th BD SCT! Love both the Stampin Up and Doodlebug. Great colours and very versatile. Awesome cupcake box!!! Love the ribbon frosting!! Love the “icing” on the cupcake treat! Thanks for the chance to win these great prizes! That is a super idea. Thanks so much for the inspiration and the chance to win fun prizes. What a cute project. I had to look at it again cause it looked real at first glance. Happy Birthday SCT. What a super cute cupcake! A great way to start celebrating the big birthday! Super cute cupcake! This could be used for so many things…little favors, decorations, etc. Happy 10th birthday! What a great milestone. Wow, I love the cupcake! Looks so fun to make. Thanks for sharing and happy birthday! Such awesome sponsors for such a special occasion. Happy 10 years! Very cute cupcake! Happy birthday to you! Wow, that cupcake is awesome! The cupcake is adorable! Congrats on your 10th birthday & thanks for the chance to win! Awww, love the cupcake. Happy birthday! Love these prizes from Doodlebug and Stampin’ Up! Who wouldn’t want a chance to win these?!?! Beautiful cupcake, Marla! Thanks for the tutorial! So cute! I would love to win the cupcake punch – it is adorable! Thanks for the chance to win! that cupcake is SO creative-thanks for sharing!! I adore SCT, that sweet cupcake and those fantastic Day One prizes! SCT is a gift to me with each issue that arrives in my mailbox. I look forward to many more years of inspiration and enjoyment. Happy, happy 10th birthday!! Awesome to celebrate your birthday and mine on the same day. March 21st. Awesome!!!! And such wonderful sponsors to kick off the 10 days celebrations. Let the party begin! Happy Birthday SCT! Aren’t these just the cutest!! They would be great for way more than just birthdays!! Happy 10th birthday Catherine and the SCT team! I can’t believe it’s been that long already!!! Congrats! Marla, your cupcake party treat container is darling! TFS! Our daughter,Kathryn Kienholz, loves cupcakes! Thank-you for creating this,on your 10th ANNIVERSARY! I now have a great gift holder,the cupcake, to give our daughter. Our daughter will love this! I hope that you have much success! Love the birthday stamps and punches! I love Stampin Up’s take on birthdays! This is a fantastic cupcake! Thanks for sharing! Great project! I love Doodlebug and Stampin’ Up! Happy Birthday SCT! Love this! Thanks for the chance to win some great prizes! Happy Birthday. What a cute design. Thanks for a chance to win too. Love your blog and Doodlebug,great colors!. Super cute idea with making the paper cupcakes! Happy 10th Birthday!! I have always wanted a subscription but as I was living in Europa that was a bit difficult. Now that I live in the US for 3 years, guess what I did? Yes, I subscribed and the Spring issue was the first one I got. I love what I’ve seen so far and every time I look for a cupcake/dessert in the issue I find something new I hadn’t seen before. Oh I love Doodlebug! Such a cute collection. The cupcake is adorable and seems very easy. Happy Birthday SCT. Great start to your Birthday Celebration. Fun prizes and a great contest…………Nice Job, SCT!!!! Let the party begin! So much fun, great gifts! What a cute cupcake, very clever. Thanks for opportunity to win the prizes. Happy Birthday. Cute and funny little cupcakes, love them! This cupcake looks SO sweet!! What a great inspiration! Gotta love a cupcake that leaves you feeling guilt free!!!! Absolutely going to making these!!! Thanks for the chance to win great prizes and most of all for all the inspiration and awesome ideas that are sure to be coming our way!!!! Happy Birthday. Love the cupcake. Love the Spring Garden collection colors. Happy Birthday. LOVE the birthday theme!!! Most favourite cards to make all year long!! HAPPY BIRTHDAY SCT!!!! What a cute idea, thanks for the inspiration!! Happy 10th Birthday SCT! Thank you for a chance to win these awesome prizes and thank you to all your sponsors. Happy 10th birthday! Love this cupcake!!! Love your magazine, and this cupcake is super cute! Cupcakes are so cute. Thanks for opportunity to win these prizes ! 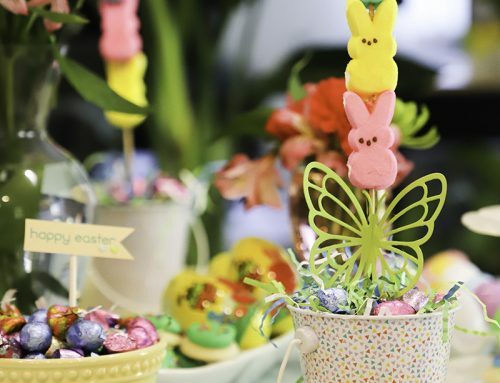 Thanks for all the fun and adorable party ideas and projects SCT! Happy 10th birthday! Love that cupcake that you can fill with goodies and it’s calorie free! Love the giveaways from two of my favorite companies! Happy Birthday! Darling flower cupcake! Happy 10th birthday and thanks for the chance to win these great prizes. Happy Happy 10th! Amazing set of prizes! Thanks for a chance to win! the cupcake is so cute – thanks for the chance to win. Happy 10th birthday! Thanks for the giveaways!!! I would like to take this opportunity to wish you a happy 10th birthday. And to say that I love the products you are giving away. Would sure love to be a winner. Thanks for sharing your newsletter with me. Happy Birthday! Super cute projects for Day One! Happy Birthday. I love the giveaways. The colors are so fun and thanks for the chance to win. Happy birthday, SCT!! Here’s to many more. Love the ribbon “icing”, love the colors – lovelovelove! What a sweet treat holder! Great idea. Love these fresh colors and products!! Would love to get my hands on them!! Happy Anniversary and happy 10 days of celebrating!! That cupcake is so sweet!! Id love to win! Thanks! Happy 10th Birthday! Love today’s inspiration with the adorable ribbon cupcake – how creative!! What an adorable cupcake box! My head is spinning with ideas of how to use this cupcake for all kinds of celebrations. Looks like we’re going to have a lot of fun celebrating SCT’s 10th birthday! Happy 10th birthday! Thank you for the darling cupcake idea! Would love to win one of these give-aways! love this and no calories…how sweet is that. Happy BD SCT, love the cupcake and the Stampin Up products, too cute! Cute cupcake. And, great prize too. Love, love, love this cupcake idea. Thank you! I love this cupcake. What a great idea ! I also love the giveaway prizes. Cute idea for a little celebration! Congrats on 10 wonderful years! Lovely prize. SCT, you are always so generous with your giveaways! Happy 10th Birthday – been with you since the beginning – Congratulations! Congrats on the big 10!! Love the spring colors and stamps for birthdays!! Happy birthday and thanks to Doodlebug and Stampin Up for the contest! Happy Birthday, SCT! Love that you included the fabric in the diecut cupcake! Gotta love birthday parties where the guests get the gifts! How can you go wrong with Doodlebug or Stampin’ Up!? Such a sweet design with no calories! Love the paper cupcake…so cute! What a cool idea and thank you for sharing your birthday! Happy happy 10th!! Great sponsors with great prizes!! Thanks for a chance to win. Congrats on your 10th! You’ve set the standard for scrapbooking mags and blogs. The 3D cupcake is lovely. Thanks for the chance to win. Love the cupcake with the ribbon icing. Cute project and an awesome prize. Almost a panic moment looking for my Spring issue of Scrapbook & Cards– found it in the delivery box of the most recent paper sets. Whew!! All arrived while we were on vacation. Congratulations on the 10th Birthday — can’t believe it! My mom will love the cupcake. These are such a refreshing collections that brings spirit us! Thanks for the opportunity and for all of the fun ideas!! Awesome! Very nice cupcake . We will love to do it for fun.thanks. Happy 10th Birthday!! Love the magazine and have found so much inspiration over the years! The colors in this line are awesome! And so is this adorabl ecupcake, thanks for all the giveaway chances! Super cute cupcake and I love the surprise inside too. Happy 10th Birthday Scrapbook and Cards Today!! Happy birthday SCT! Thanks for sharing the adorable 3C cupcake. Thanks for the prize pkg Doodlebug!! Wow!! Congrats on ten years of inspiration!! Thank you so much!! Happy Birthday to SCT. How nice of you to give out prizes on your birthday. These are wonderful prizes that I would be so grateful to win. Thank you. You are the best. Such a fun party! Ten years is a great thing to celebrate! Thanks for the chance to win! Cupcake is too cute. Happy Spring – Doodlebug has the best colours ! What a fun little “cupcake”! Such a cute “Happy Birthday” cupcake! Happy 10th birthday, SCT!! Thanks for all the years of inspiration! Wishing you many more! happy birthday SCT!!! 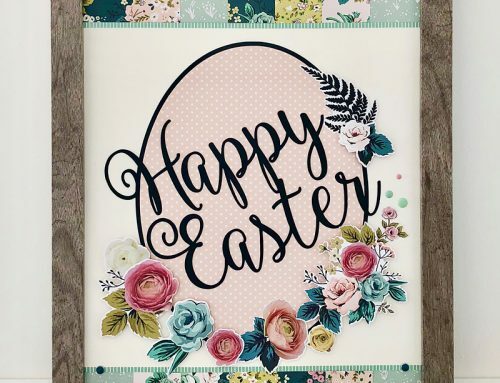 Doodlebug is so bright and cheery and a great one to start off spring… thanks for sharing all of your inspiration and prizes!! Ohhh, to be sooo creative – cute cupcake!! Happy Day 1 SCT!!! Bring on the party!! You guys always have the best party favours to share!! That cupcake looks so yummy, I want to eat it! Great idea! But I would still sneak myself a real cupcake to nibble! 😉 Wonderful prizes! 10th Birthday & Cupcake treat boxes ……. I think we’re in for a Party!! What a great day 1 ……. & we’re off! Thanks to your partners for the loot bags & many happy wishes to you SCT – You Rock!! ? What a fantastic cupcake! And no calories either :0) Happy birthday SCT! I am loving the party and the prizes! Love the cupcake tutorial….and the prizes are just amazing!!! How cute! I love this creative and fun idea! Happy birthday SCT! And many more! Happy Birthday! Eat the cake!! Love the 3d cupcake – this is awesome for little presents for special people – I think I’ll make one for Mother’s day. What a sweet cupcake projects, thanks for the change to win. Happy Birthday to my favourite scrapbook magazine!! Thank you so much for this wonderful opportunity to win. Wonderful companies – both of you…well, all of you! That cupcake is so cute, I especially love the little cherry! Fun!Fun!Fun! Love the little cupcakes sprinkled throughout your spring issue. This cupcake treasure box is delish too. Love the ribbon icing and the adorable cherry on top. Happy birthday to you, happy birthday to you……great ideas and terrific prizes! HAPPY BIRTHDAY!!! Great prizes! I LOVE the colors in the Doodlebug collection! Thanks for the chance to win! Great prizes and 3-D cupcake is superb!! Wow, what a cute cupcake! Too bad you can’t eat it! Super prizes to kick off the celebration. Happy Birthday! Love the magazine! That is the sweetest little cupcake created by Marla – thanks for the tutorial! Such fun prizes from Doodlebug and Stampin’ Up! to kick off this first-decade birthday party for SCT – put your hands up!!! Happy Anniversary! You are so generous with your prizes. Fingers crossed! Happy 10th Birthday!!! Such a great and “yummy” idea! Thank you for these amazing chances to win! I love this cupcake box. It’s adorable and will make great party favors for my niece’s birthday. Thank you for sharing. Wow!!! Happy 10th!!! I love the cupcake idea!! Happy 10th bday! Love your magazine. Thank you for all the effort put into organizing this event and for the amazing opportunities to win prizes! Sending birthday wishes to a great publication. Love the magazine and the little cupcake is just the sweetest. Here’s to the next 10 years! Cheers! Cupcakes are so sweet and yummy! What an adorable ribbon cupcake – so creative! I have been a fan of both Doodlebug and Stampin’ Up! for quite some time – great prizes! Happy 10th! The prize looks awesome AND I have 3 family b-days this month-good ideas!!!! What a lovely way to start your 10th birthday! The cupcake is so beautiful and the ability to hide a surprise inside takes the cake! Happy Birthday SCT!!! What a great idea, you can put anything in the bottom, it looks great and doesn’t have to have any calories. Love it. So much fun! Who wouldn’t like the Stampin’ Up products to celebrate a birthday…..even the 10th of SCT! Happy 10th Birthday!.Thank you Doodlebug Design and Stampin’ Up for helping celebrate! Happy 10th Birthday Sacrapbook and Cards today! You continue to put out an amazing magazine – thank you! This cupcake is the cutest little gift for my little friends! Happy, Happy B-Day to you! Marla, what a super cute cupcake idea. I am going to have to get me a cupcake wrapper die! Thank you so much for sharing your creativity with us. What beautiful paper colours! So bright and Springy! Happy 10th Anniversary! Super Clever Cupcake! A paper crafting 3D Birthday!!! Thanks for the opportunity to win some Doodlebug!!! Oooops! Already left a comment on this; but didn’t see the other prize…love that SU! Both prizes would be winner’s! Happy Birthday! What a cute idea. I can use the ribbon idea on lots of projects. Thanks for celebrating your birthday with your readers. Happy 10th birthday! Love all the prizes – will inspire me! Great way to start the celebrations! Happy birthday. Super cute AND calorie free!! The cupcake is absolutely adorable! What a great idea…and what great birthday prizes you have to share with us! Happy 10th. Love the 3D cupcake. It is adorable and so creative. What a cute and original project! Love the cupcake! Happy Birthday! Here’s to AT LEAST another 10!!! Happy Birthday! Love your magazine, tons of info and inspiring ideas I use all the time. Love the magazine – Love the ideas – can’t wait for the Abbotsford BC Event! Happy Birthday! Great prizes! I love Stampin’ Up!, and this bundle is fabulous! The Doodlebug Spring Garden collection is perfect for my Spring scrapbooking! Thanks! Thanks for the 3D cupcake instruction. Happy 10th Birthday! Happy Birthday SCT! Thanks for all the great prizes! Very cute! The prizes are amazing! Love the cupcake. It looks awesome! Happy 10th Birthday. I look forward to seeing all your celebration posts. Happy 10th Birthday, so glad to be part of the celebrations! Love the idea. But…”your” not “you’re”. Had to say it because I’m an English teacher. Happy 10th! Thanks for this giveaway! Happy 10th. Thank you for all your inspiration. Happy birthday SCT!!! What an amazing celebration and wonderful giveaways! Thanks for the chance! Happy Birthday SCT! I truly enjoy your blog. Oh My gosh! Happy birthday!! This such fun! happy 10th!!!!! I’ll celebrate with 10 cupcakes……paper cupcakes that is!!!!! what surprise,candy inside! my kids would love for me to make this on their next birthday. thank you for sharing. Congratulations on 10 years of creative ideas and support for paper crafters. Thanks for inviting us to the party, too. What an adorable gift-bearing cupcake! Thanks for the chance to win some awesome prizes. Happy Birthday SCT! Love your celebration giveaways. I’m always happy to see the stampin’ up goodies. I just love that cupcake! It looks so real!! And what a supriseto find sweets inside! Happy Birthday and great tutorial and prizes! Thanks for the great giveaways. Happy Tenth. Happy birthday and let’s all think spring and maybe the snow will stop! love the cupcake.love the prizes being offers. That cupcake is precious! Happy Birthday SCT! What an adorable cupcake!! Happy birthday!! I love your little cupcake. It’s cute and fat free! Perfect! Happy birthday! So cute to turn the cupcake into a treat holder. Cute project! I love this idea! Thanks for the inspiration and the opportunity to win! What a sweet idea an addition to any celebration! Awesome prizes to start your celebration. The cupcake is super cute. The cupcake is so cute! Love the cupcake! Thank you for the chance to win, happy birthday SCT! Happy 10th birthday and here’s to 10 more. Thank you for the chance to win such great prizes. Happy 10th Anniversary! cute idea! Happy 10th Birthday and thanks for the awesome prizes – you’re partners are always the best and offer great goodies. What a great start to celebrating 10 years! Congratulations! Happy 10th birthday! Thanks so much for all you do to teach us and allow us to try and win prizes. You rock! Love that cupcake idea!! Thanks! The cupcake treat holder is so adorable! Love it! Happy Birthday to you!! Happy Birthday!! What an awesome prize! I love getting new ideas. Thanks for the inspiration. Cute Cupcake! Great idea for the next birthday party! Awesome prized from wonderful sponsors today! Congrats on 10 years! Happy Birthday! Love the cupcake craft and awesome prize! Love the cute cupcake wrap. Happy 10th Birthday! Oh, my gosh! What a clever cupcake party favor. Cute idea! What an adorable idea! Happy 10th Birthday! Happy 10th Anniversary! Great sponsors! Happy 10th Birthday SCT! Cute little cupcake great for decorating a table or giving away filled with treats. Love! Happy Happy Happy 10th Birthday! and thank you for the opportunity to win. That is so sweet! Happy 10th birthday to an awesome magazine! Love all the cupcakes they are so cute! Some imagination went into them. Love the cupcake above make with ribbon too. Oh, this cupcake is soooo adorable! I have a friend who has written a series of books with a cupcake theme – this will be so perfect for her! LOVE the great party favor idea!!!! Love stampin up! Thanks for the chance to win!!!! Happy 10th to scrapbook & cards and that is the cutest little cupcake ever! What a fun idea hunting for hidden cupcakes. The ribbon cupcake is so cute and fun that you can have a little treat in it. The cupcake is so cute! Thanks for the chance to win this great giveaway. Love the cupcake! Happy 10th SCT! Happy Birthday SCT. Congrats on #10. Glad to be a part of the celebration. Cute cupcakes! Love this idea! I always love SU! sets. And Doodlebug Design has such beautiful, bright colors! Love the Spring Garden collection! Happy 10th Birthday – thanks for all the giveaways! Happy Birthday! Love seeing the inspiration. Such a cute candy box idea will have to try this….Thanks for the chance to win such great prizes…. I love it!! Happy 10th Anniversary!! What a wonderful cupcake idea and I look forward to using at my next special party. The cupcake is so adorable ! The talent all of the designers have to create these little pieces of Art !